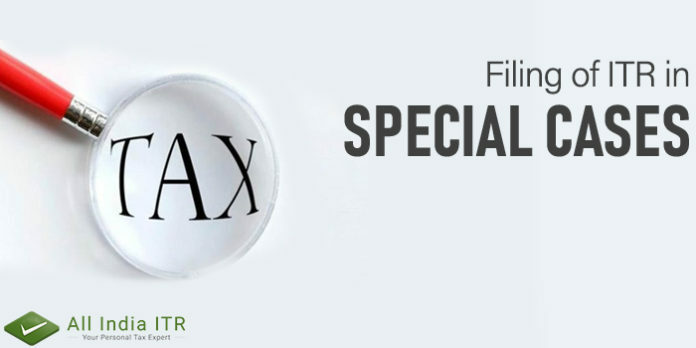 We understand that filing Income Tax Return can be a tedious task. Here are some of the special cases of ITR and this is how you can file your Income Tax Return if you are in a similar situation. This situation generally arises when you have switched your job or changed the organisation you were working in. When a taxpayer changes his/her job in a particular financial year many a times they end up with more than one Form 16s. In such situations you are supposed to inform your current employer about your previous income and the 80C deductions. If you fail to mention your income or deductions from your previous job, then there are chances that you may receive the deduction twice. The TDS and the tax liability by the different employers is also calculated together, while doing the tax computation. When you file your Income Tax Return you are supposed to mention the details from all the Form 16s that you have for the relevant Financial Year. Clubbing of Income is a term that is used when the income of person is taxed in another person’s hands in some specific circumstances. For e.g. if a taxpayer has made investment under his/her minor child’s name or in the name of their spouse, any income from such an investment will be clubbed with the taxpayer’s income and will be considered as a whole while filing Income Tax Return. There is no separate ITR form to file Income Tax returns, where the assessee has to club the income of any of the family member with his/her. In case you are filing your income tax return after a gap, you should remember that you will have to consider changes in tax filing rules. You are required to update your basic profile details in your income tax e-filing account, when you are filing ITR after a gap.